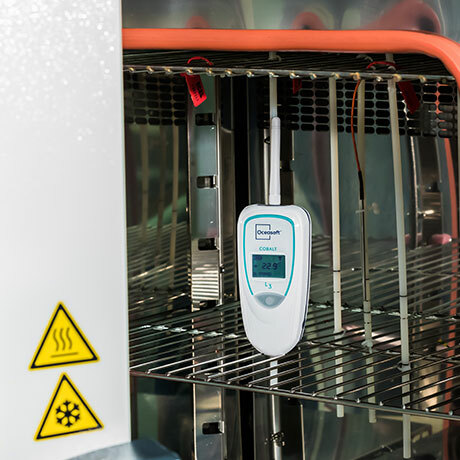 Ensure quality control for products and manage public health and sanitary risks. Monitor large sites with fast and easy deployment. 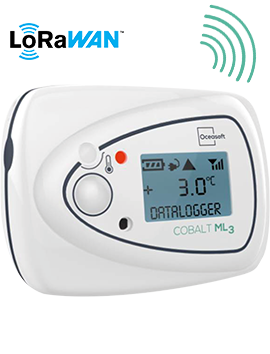 With the innovative LoRaWan protocol, Cobalt L3 data loggers offer long-range wireless connectivity for temperature and humidity monitoring. Cobalt L3 protects sensitive products on sites with distances up to 16 km. This solution is adapted to both large and small networks, indoors or out. 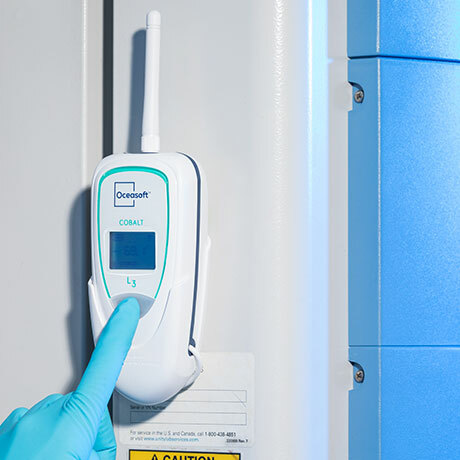 Discover Cobalt L3 and its LoRaWan long-range wireless connectivity for monitoring humidity and temperature. How does Cobalt L3 work? 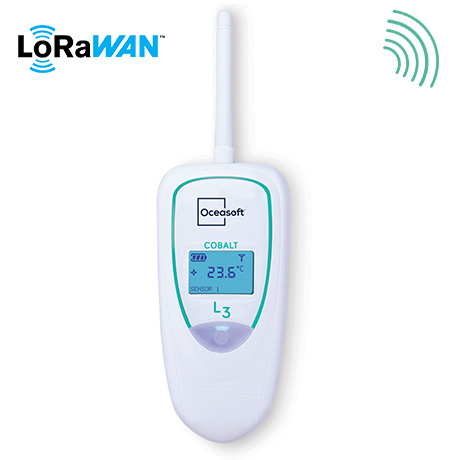 Cobalt L3 LoRaWAN temperature sensors are fast and easy to install on-site, generally only requiring a single receiver to transmit data. 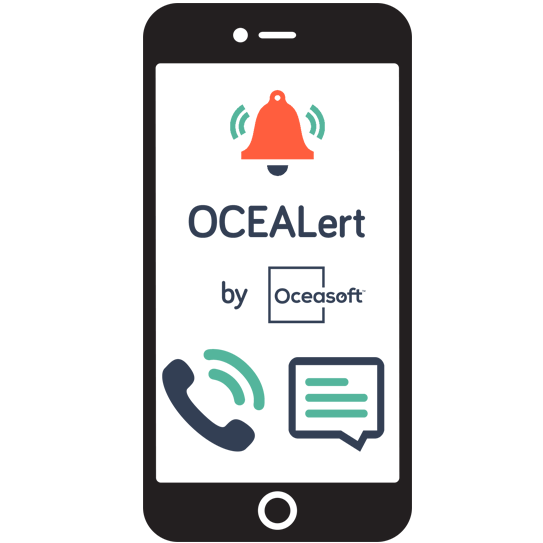 Cobalt L3 may be equipped with several different types of OCEASOFT’s Smart-Sensors, which enables recalibration via our sensor exchange service and simplifies maintenance. 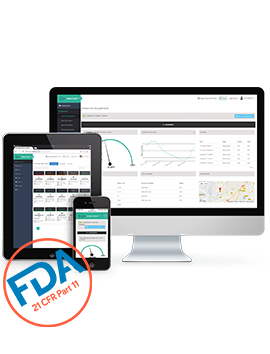 Data is stored in module memory and on OCEACloud, which interacts with the responsive CobaltView web application , for remote viewing and management using a smartphone, tablet, or computer. 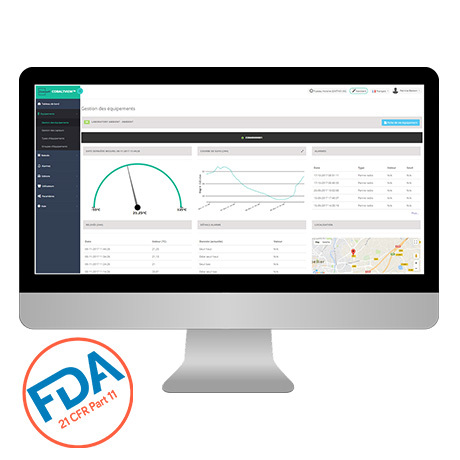 Data automatically uploaded to OCEACloud via LoraWan connectivity.